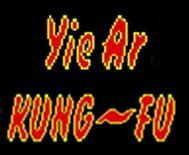 This series of GIFs is in honor of the 1985 classic arcade game Yie Ar Kung-Fu. 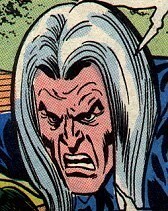 I’ve already written about my love for this game on the bava, so I’ll save you my usual flood of verbiage. For the record, this series of GIFs took me way too long. Each animated fighter is its own GIF, and my strategy was to beat each and every character in the game and then steal his or her image as a GIF (a double beat down). That plan went well until I got to Tonfun, then it went to hell. I kept getting beat up by Tonfun, so in the interest of time and family relations I found this video of a perfect game and got the animated likeness of the Blues GIF there. Nothing like starting the New Year with a cheat! One last thing, you may notice that each of these characters animations are the same as they are in the “Hot Fighting History Next Opponent” cut scene for each of them. Still stuck on the animated GIF cut scenes idea for class arcade games. This entry was posted in video games and tagged animatedgif, AnimatedGIFAssignments, AnimatedGIFAssignments880, classic video games, ds106, videogames, Yie Ar Kung-Fu. Bookmark the permalink. This is frackin’ awesome and well worth the time put into it! I have to admit, I’ve never played this game, but I know of what you speak when concerns of time and family come into play. Keep on rocking the video game GIFs for as long as your family allows. Simply put- Awesome. Thanks for the memories.